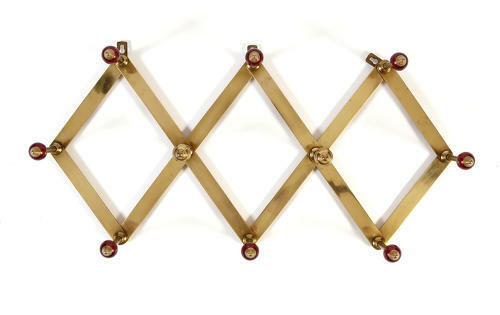 Coat rack by Dominioni for Azucena. Adjustable to allow for you to vary the width on the wall. Lacquered polished brass and red bakelite. I have never seen this exact design combining the red bakelite and the 2 central brass spheres.